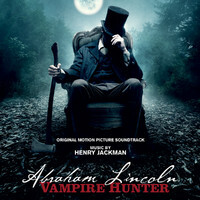 Abraham Lincoln: Vampire Hunter! Where do I start except to firstly state what a highly entertaining film with lots of action, a good twist on historic events and a talented cast. The writer Seth Grahame-Smiths and director Timur Bekmambetov’s have done well to make sure the film isn’t what you’d describe as another vampire film and more importantly isn’t some tongue ‘n’ cheek comedy with clichéd vampire bashing. The historical context helps to create the key points in the movie, allowing a story to be told of how the young Abraham Lincoln became not only a vampire hunter but a great politician. Frankly the film is cool. Benjamin Walker who plays Abraham Lincoln has the measure of the role and plays the resolute, strong, leader so adeptly that images of Abraham Lincoln are likely to remind me of his portrayal. We see Abe grow from a vengeful youth seeking to kill the vampire who killed his parents into a man who displays the refrain and forethought required to inspire and lead a people during the civil war. The gravity of the civil war is by no means lessened by the theme of the film and the way the vampire story is woven into the events creates a level of tension that keeps us wanting to see Abe wield his vampire killing axe.